Caution free event sees Munoz take the win, Karem the title. Andretti Autosport’s Columbian driver Carlos Munoz is having quite a weekend. 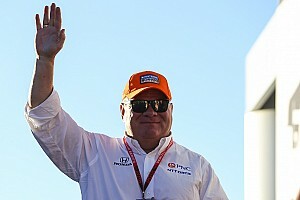 He arrived in town ready to contest the final race of the 2013 Indy Lights season, which he did. Then, on Thursday night, Venezuelan driver E. J. Viso did auto racing’s version of calling in sick. 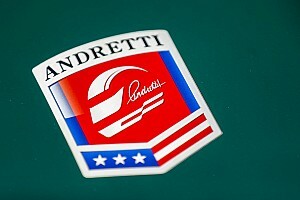 He let Andretti Autosport know that he would not be participating in this weekend’s final IndyCar race. 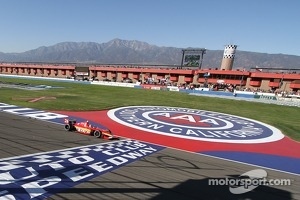 Carlos Munoz was then tapped by team owner Michael Andretti to take over Viso’s #5 car for the MAVTV 500. 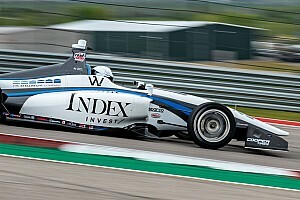 But first, Munoz had some unfinished business in Indy Lights. Since he started second to pole sitter Zach Veach in the Lefty’s Kids Club 100, his strategy was to lead the first lap, which he did. Once he had the lead, Munoz had few problems holding onto it, cruising to a win with almost a full second’s margin. Good job. After this, most of the race seemed uneventful. 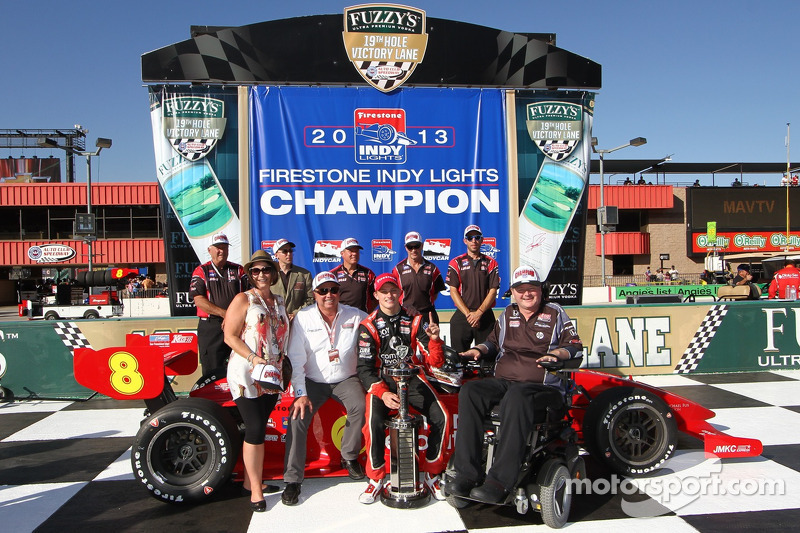 But, there was a championship to be awarded and it went to Sage Karam of Schmidt Peterson with Curb Agajanian. Karam, a high school senior, will have a racing scholarship to contest the Indy Lights Series in 2014. Karam won three races in 2013, appeared on nine podiums, and won 2 pole awards. He received many congratulations from members of the racing fraternity, including a special “well done” from racing icon Mario Andretti.